Employment status: will 2017 bring new legal rights for casual workers? 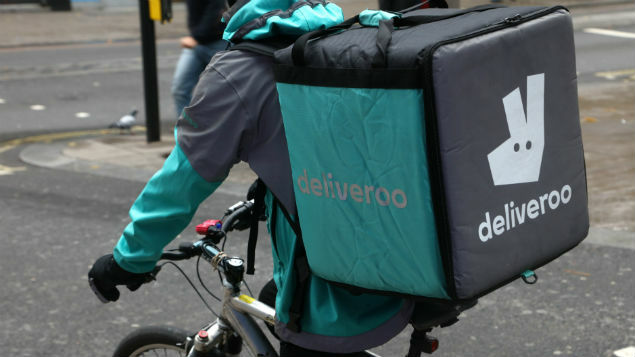 A government review of employment status and further gig economy tribunal cases are expected this year, not to mention the potential for new legislation on casual workers. David Palmer asks if 2017 could be the year the balance of employment rights tips in favour of the worker. A hot political issue in 2016 was the legal status of workers. But 2017 could be the Year of the Worker and this will be a tricky issue for HR and employers. The gig economy and the law are coming to blows. And, the workers are winning. The message from recent case law is that a person’s employment status is not always exactly what it says on the tin. Contractual documentation stating an individual is self-employed will not avoid the risk of the individual claiming worker status. HR and management need to be alive to this issue, and define and structure working relationships properly at the outset. What next for the gig economy? The gig economy is the market for short-term labour. It is evolving the ways people work, organise, earn and operate. Its effects have not gone unnoticed by politicians. I recently sat on the Employment Lawyers Association (ELA) working party, which drafted a response to the Business, Energy and Industrial Strategy Select Committee’s inquiry regarding the future world of work, launched in October 2016. The inquiry related to the gig economy. The much-publicised Taylor review on modern employment practices is also looking at the gig economy. The obvious conclusion to reach about the existence of these reviews is that employment law is perceived as being miles behind modern-working practices. Employment law typically defines three broad tiers of individuals providing work: employees, workers and self-employed. The middle tier (workers) – a European concept – is not easily understood. But of more concern, the three tiers belie a staggering variety of legal distinctions. The ELA working party identified at least 15 different flavours of working status, which often have overlapping features. There can be little doubt that the law needs to be simplified. It must be easier to determine the working status of an individual. This is particularly the case in the gig economy, where it can be difficult to discern where any given working arrangement fits with the law. While the law is very unlikely to change until after the Taylor review outcomes are published in the summer, at a recent seminar I attended a representative of Department for Business, Energy and Industrial Strategy confirmed that the Government may be willing to prepare a Bill for Parliament in response to the Taylor review. So we could get draft legislation later in 2017 aimed at workers’ rights in the gig economy. For the meantime, how does one spot the difference between a self-employed consultant and a worker? In broad terms, if an individual agrees to provide services to a business personally, and that business has some control over the services, the individual is likely to be a worker. Unlike self-employed persons, workers are entitled to working time law protections, paid holidays, the national minimum wage and other rights. It does not matter whether or not the services are labelled as self-employed services under a contract (ie consultancy or contractor agreements). If the contract does not reflect reality, a tribunal can look at what occurs in reality and decide the true nature of the relationship. Tribunals have criticised arrangements that disguise workers as a self-employed individuals. For example, contracts for “consultancy services” sometimes say that the “self-employed consultant” can appoint a substitute. This allows the employer to argue that the consultant does not have to give personal service and therefore cannot be a worker. However, where the right to substitution is conditional on the substitute being approved by the business, and the right is never in practice exercised, tribunals have concluded that there is not a right of substitution and that personal service exists. In January 2017, a CitySprint bicycle courier won a tribunal case proving she was a worker and not an “independent contractor”, and this same issue arose about substitution and personal service. This case was the first of at least four legal challenges being taken against various courier companies. Why are politicians interested in this topic? Be it high-profile tribunal cases about app-based taxi drivers’ rights, or fast-food delivery drivers seeking to unionise to protect their rights. The gig economy and its ramifications are big news. Then, of course, there’s Brexit. The EU concept won’t necessarily be scrapped when Brexit occurs, but there may be more legislative freedom for our Parliament to reform employment rights – it depends on the separation deal between the UK and the EU. One of the first matters discussed regarding the post-Brexit legal landscape was workers’ rights. So it is likely that Brexit will also keep this topic in circulation throughout 2017. The results of the Taylor review are likely to get widespread media coverage in the middle of 2017, putting this issue back on the front pages again. This publicity means an increased risk of claims, particularly with novel working arrangements based on technology platforms, which have not been tried and tested in the courts. The key for businesses is that they should define service relationships properly at the outset. No matter what type of individual a business is about to hire, engage, employ, source or take onboard, the business needs to think realistically about the status of the individual. Does this person really look like someone who is self-employed with all the freedoms that that entails? If so, be sure that the arrangements and documentation support that. If the conclusion is that the individual is a worker, the arrangements must cater for their working time law protections, paid holidays, the national minimum wage and other rights. There can be little doubt that these technology platforms and the market for short-term, on-demand labour have disrupted traditional working arrangements. There will be further gig economy tribunal cases this year, as individuals seek to define their status in this new world of work. There is also the prospect of new legislation aimed at gig economy rights, depending on the outcomes of the Taylor review in the summer. This all means that 2017 is likely to be the Year of the Worker. David Palmer is an associate at Allen & Overy.